MM – Greasy Hair? Don’t….yeah, I care! Yuck! Who uses dry shampoo?! I tried it once. About a decade ago. GROSS! So I never used dry shampoo again. In fact, if I didn’t have time to shower and my roots were feeling greasy, I would reach under the sink and pull out the baby powder. Yep, not my brightest idea. I’d put a little bit on my hands and try my best not to make a mess putting it on my roots. Who am I kidding? There was always a mess. On my floor, my shirt, and in my hair. Yeah, it dried up the grease, but it left a white residue. That is one of the primary complaints about dry shampoo. That icky white residue. Who wants that? Here’s a list of other complaints I have heard. Seriously?! Who would use that!? Well…me. I know. I said never again. But then I discovered the magic of Monat. Plus, I live on the road. Daily showers are not an option. So, I tried The Champ. I LOVE it! But, what about the list!? All those yucky side effects?! Let’s start with the white residue. Monat uses Argana Rice Starch to rid your roots of the grease. It minimizes any leftover residue. I don’t notice any on my hair. Let’s hit the next 3 all at once. Hair feels crunchy, stiff, coated, and fingers get stuck. 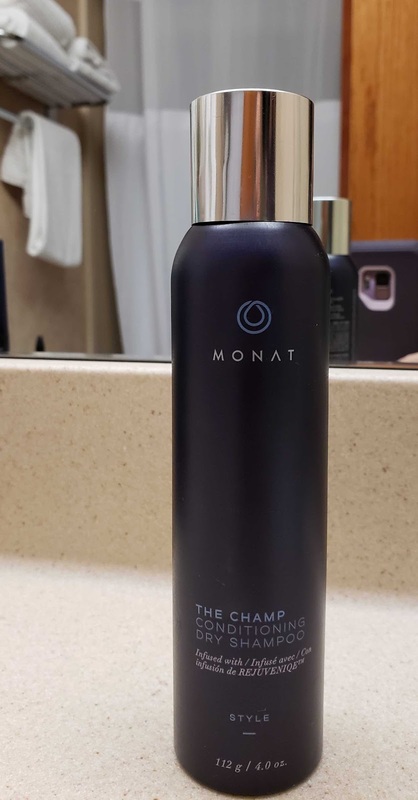 One of the things I love about Monat is how lightweight their products feel. My hair is still soft and touchable after using The Champ. One of their suggestions after applying is to use a blowdryer, brushing it in the opposite direction. Hello, volume! Now for the serious complaints. Yes. Dry shampoos can lead to hair loss. Build up can clog hair follicles. But, let’s be real. Dry shampoo is a time saving product so you don’t have to wash your hair every day. You still have to wash your hair. The great thing about most Monat shampoos is they contain Capixyl. This is clinically proven to decrease hair loss and promote hair regrowth. How cool! HMU if you’d like me to dive more in-depth on this! Toxic ingredients. I talked about this in my Chemicals on my head post. When was the last time you checked the ingredients list on your shampoo? 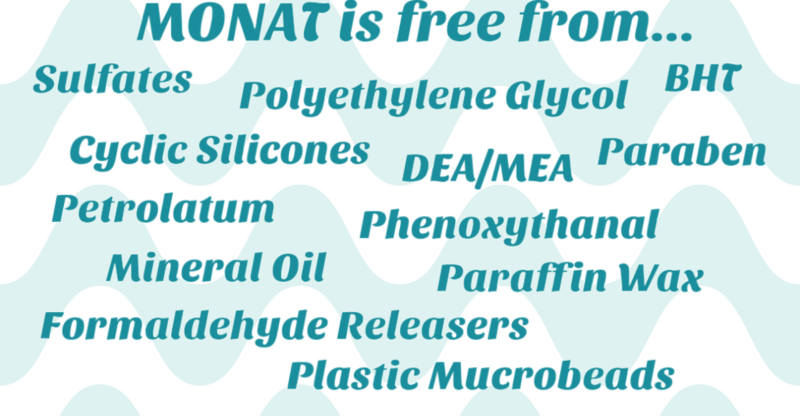 One of the best parts about Monat is they are TOXIN FREE!! Last one! Aerosol. 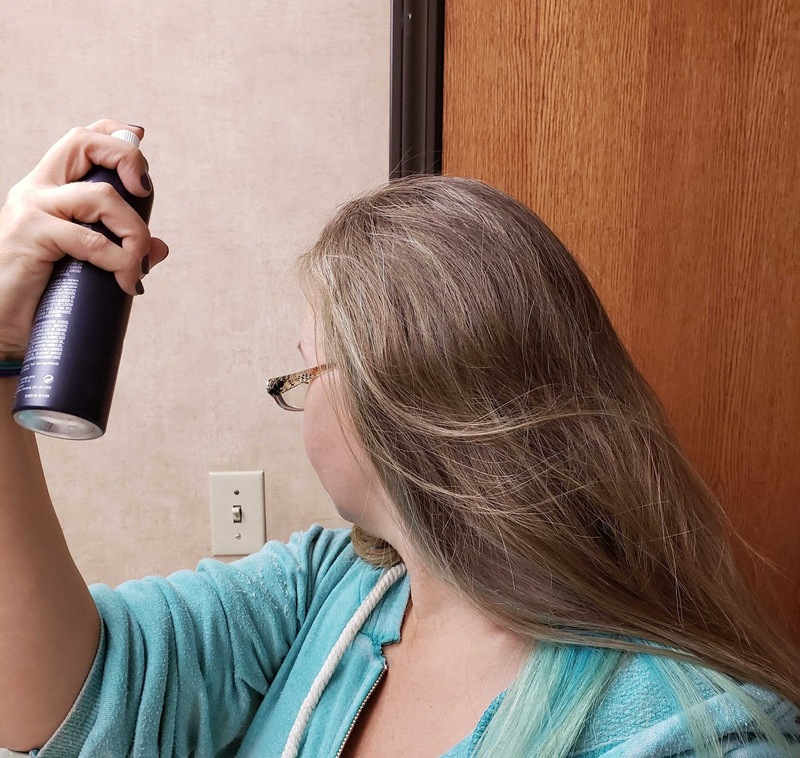 Remember tipping your head over and going to town with a can of aerosol hair spray back in the 80s and 90s? We didn’t know what we do now. The hydrocarbons and compressed gases that are used are terrible for the environment. That’s why Monat is non-aerosol. So many reasons to love this company! How would you like a chance to win a bottle of this eco-friendly, time-saving dry shampoo? Check out my Spring Giveaway to find out how!